I am registering my father, Raymond (Ray) Bloedorn who passed away in 1976, at the age of 66. He started at Allis-Chalmers as an apprentice at the age of 16 on the factory floor. He worked himself up to being a Time Study and Planning Engineer of steam turbines. He loved working for the company (43 years) and would have worked there longer if it had not been for the major layoff, due to the company deciding at the time, to no longer build steam turbines. That was a hard blow to all the employees effected. I remember him walking to work each day when I was a child and we lived near 72nd and Grant. 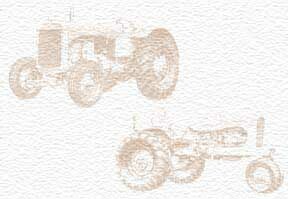 My father was a member of the Allis-Chalmers Forman's Club and Toastmasters. My Grandfather (Albert Bloedorn) also worked at Allis-Chalmers for many years and I believe started there shortly after the company opened. My sister worked in the main plant for a few years, starting in 1953. I (Maryle) worked for Allis-Chalmers from 1959-1962 as a secretary in the Nuclear Power Dept. and Plant Engineering.